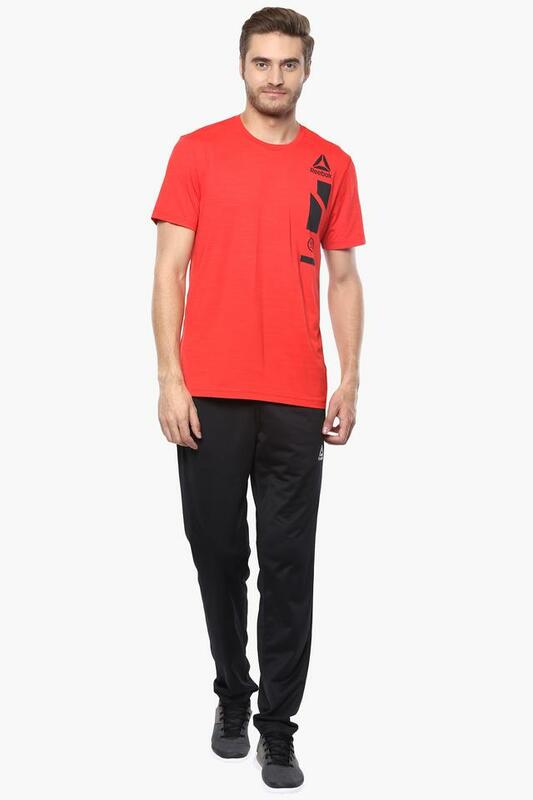 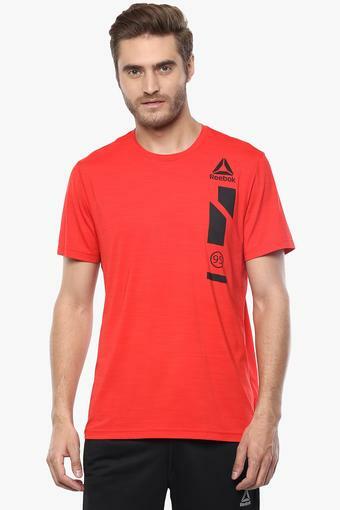 Presented by Reebok, this T-Shirt is what you need to pep up your daily dose of fashion. 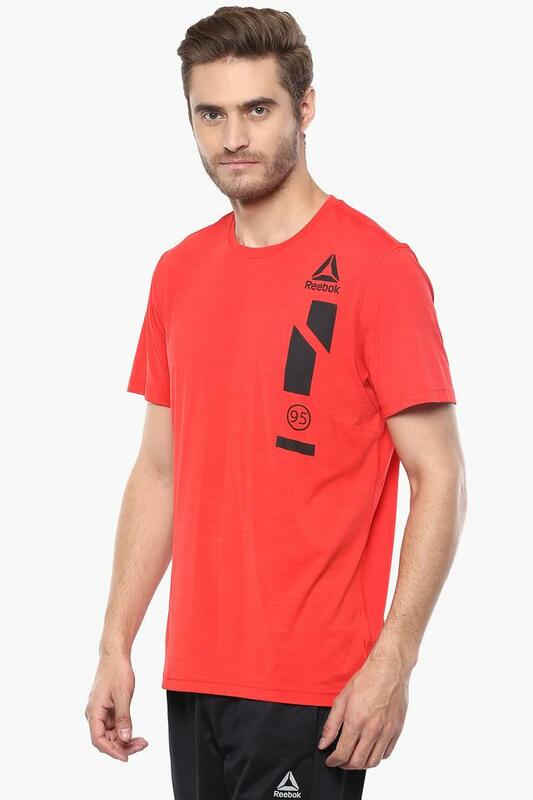 It has been crafted with care using premium quality fabric that promises maximum breathability and easy maintenance. Besides, it comes with a printed pattern, which complements its simple yet modish design. 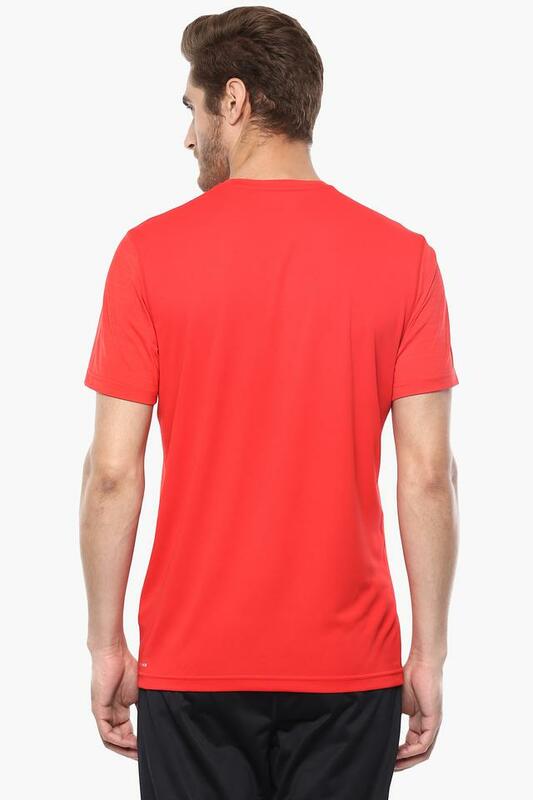 Print pattern and comfortable fabric make this T-Shirt an excellent pick for you to wear during your running session. It will look good with a pair of track pants and sneakers.